Grind all the above to a very fine paste. Grind the rice, coconut and little salt to a coarse paste. It should neither be too thin nor too thick. 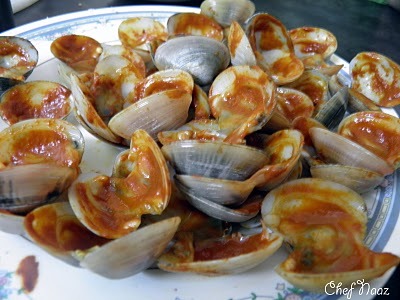 If it is too thin it won’t be easy to fill inside the clams, so it is required that the paste be fairly thick. 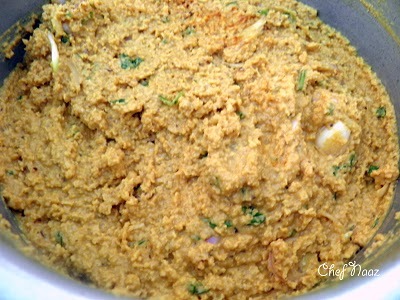 Once the mixture is removed from the blender, add the chopped onions and coriander leaves and mix well. Useful tip: Add 2 tbsp clams masala into this mixture and mix. It makes the dumplings more tastier. 1. 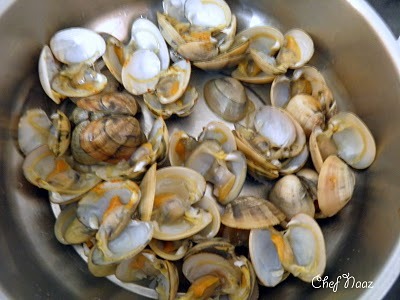 Wash and cut open the clams. 2. Keep them overturned for sometime so that the water in it is all drained out. 3. 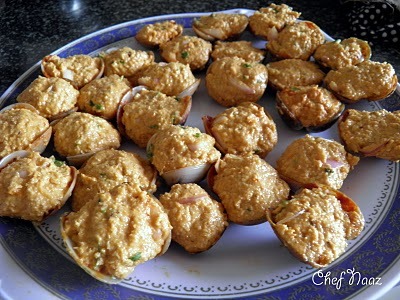 Cover the inside of the clams with the masala. DO NOT FILL. Just layer it once. 4. Fill in the dumpling mixture into the clams. 5. 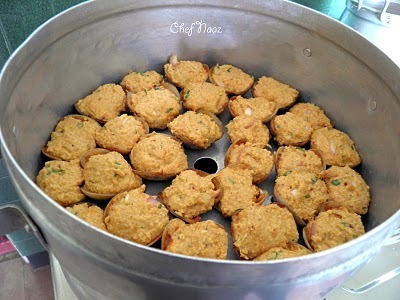 Place all the clams one by one inside a tandoor. 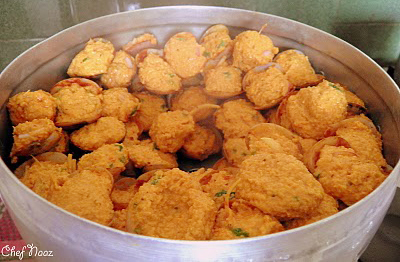 This dish requires the clams to be cooked through steam, that is why we use the tandoor to cook the clams. 6. We usually keep it for around 30 minutes. 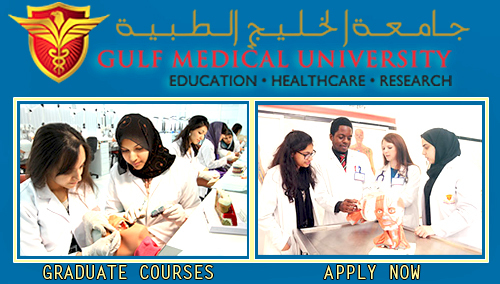 You can check if its is cooked by inserting a knife and to see it comes out clean. SERVE HOT! But by experience, it tastes better after 2-3 hours. Its cuz the masala gets incorporated well during that time.